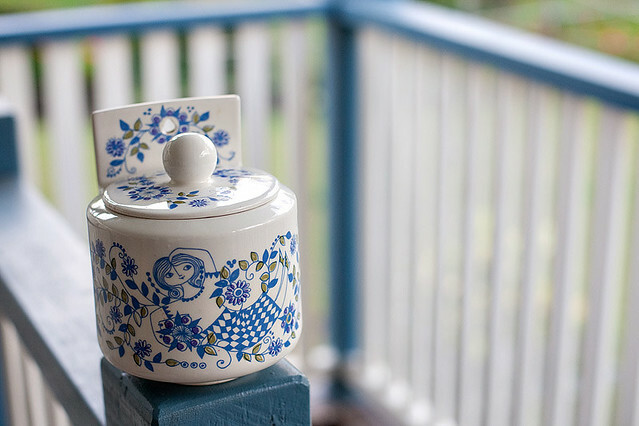 Well I’m most certainly 25 now; I had a lovely weekend, went to Gerties on Saturday night with some friends, had breakfast at Sassafras on Sunday with N and then a browse at the Paddington Antique Centre, where I picked up the most amazing find; a Figgjo Lotte Salt Box/Cellar. I remember when I first saw one of these listed on ebay, I just was awe; the amazing shape, the placement of the designs, the everything. I also remember the price the auction finished, whoa that was some money. The next few times I saw one come up on ebay, the auction finished at similar prices. I can happily say that I picked up mine for a whole lot less. Isn’t it beautiful? I’m not sure what I will put in it yet but I can assure it won’t be salt. Yesterday I had a great day. It was a training day at work so no candidates and a chance to have lunch together as a department. I went to the orthodontist and got the news that I’ve been wanting to hear for the last nine months or so, it’s time to go see the prosthodontist, yay! I have an appointment on Oct 5, which will hopefully be an x-ray to confirm root placement and the like and that we can move forward with the implant procedure. Cross your fingers. It’s now week 9 at Uni which is hard to believe, it seems like just yesterday I was looking at my lecture notes for week 1 and thinking it sort of makes sense. I’m really looking forward to next year. When I got home from uni I was presented with the most amazing bunch of red, magenta and orange gerberas from one of my flatmates as belated birthday present. It’s gorgeous, I’ll have to take a photo later. Now to to the meat of this post. 25 things that I wish to do/complete before I turn 26 next year. There it is, some things are small, some things not so, some things are little, something things require effort. And we’ll end off with two books that I’ve been enjoying immensely at the moment. 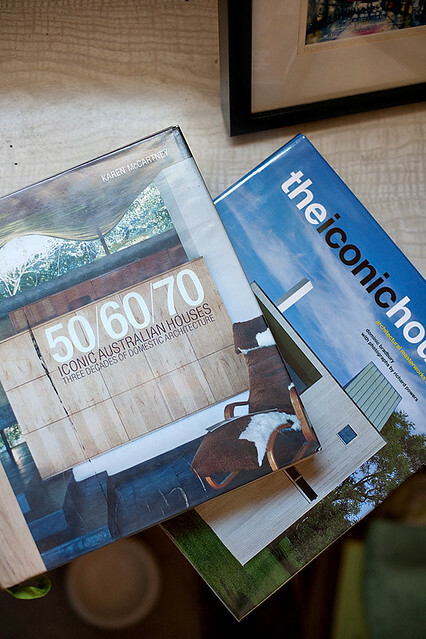 50/60/70 : Iconic Australian Houses by Karen McCartney and The Iconic House by Dominic Bradbury. I went to the Yatala drive-in last weekend – it’s pretty popular. But sometimes it takes a while before they have movie combinations that I want to see. Happy Birthday Helen (now wasn’t that a song…). I also love your list. i love your blog to pieces!